Gospel for Asia, one of the largest international ministries, has reached a $37 million settlement to a class-action lawsuit that accuses the nonprofit of mishandling hundreds of millions in donations designated to be used in the mission field worldwide. The ministry, founded by K.P. Yohannan over 40 years ago, was accused in the lawsuit filed in 2015 of racketeering, fraud, and financial mismanagement. 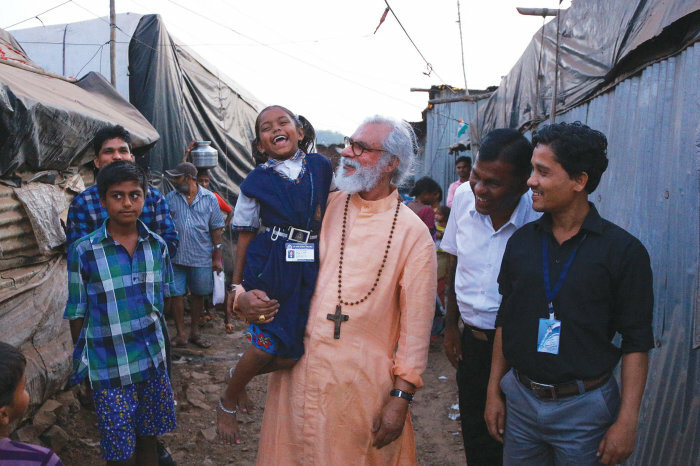 Among other concerns, Yohannan and his associates were accused of using donations earmarked for charitable purposes within its mission fields to build personal residences and a headquarters in Texas. The organization has throughout the yearslong legal battle maintained that it didn’t fraudulently use funds. GFA has labeled the claims false. Nonetheless, GFA was expelled from the Evangelical Council for Financial Accountability and the National Religious Broadcasters after financial accountability concerns were voiced. On Thursday, GFA announced that the class-action lawsuit that has threatened the ministry’s survival will soon come to a close. The lawsuit is being resolved through a settlement agreement between the parties, according to the “preliminary approval application” filed in federal court. According to GFA, the settlement procedure was ordered by the court in an attempt to satisfy the plaintiffs’ concerns before the scheduled trial. Although GFA will ultimately pay $37 million as part of a settlement fund, some of which will have to be raised over the course of the next year, GFA stresses that the settlement is not an acknowledgment of guilt. Additionally, the settlement does not admit any liability or wrongdoing whatsoever. Johnnie Moore, the founder of the evangelical public relations firm The KAIROS Company, said as an acting spokesperson that GFA “did not act fraudulently" and that "all the donations they received made it to the field.” And one of the big four auditing companies is managing the analyzing and accounting of donations to the field. “The agreement to settle was, in part, precipitated by a concern that the ministry could continue to bear the weight of defending itself," Moore, who also serves on the U.S. Commission on International Religious Freedom, said in a statement shared with The Christian Post. The settlement agreement stipulates that approximately 200,000 GFA donors will be eligible to receive a portion of the agreed upon settlement. Also as part of the settlement negotiation, GFA proposed offering a seat on the board of directors to one of the plaintiffs that brought the lawsuit against the organization. GFA also retained one of the big four accounting firms to objectively analyze the flow of GFA donations to the mission field. Additionally, GFA is undergoing annual audits and will continue to undergo annual audits conducted by the CPA firm Payne, White and Schmutz. And separate annual audits by Payne of GFA have come back clean. GFA will also seek to regain membership with accrediting bodies and associations that it lost. 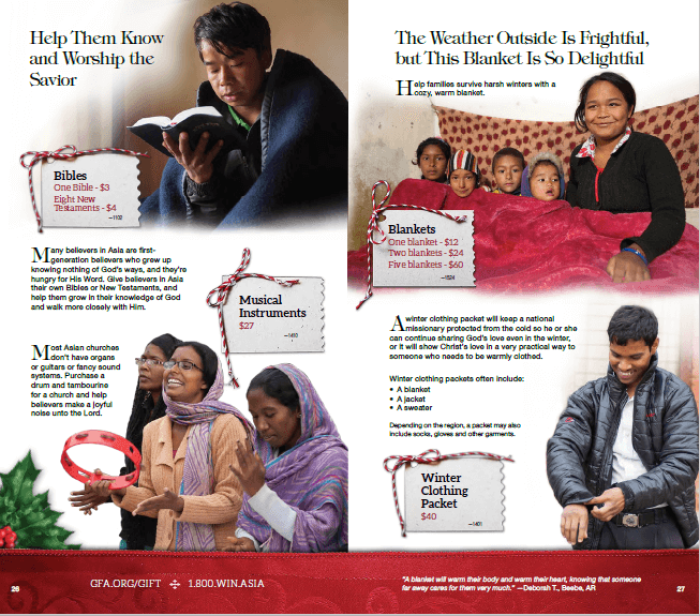 “If Gospel for Asia seeks to reapply for membership in National Religious Broadcasters, we will evaluate all relevant information, including the settlement agreement, to determine if the organization is in compliance with our financial accountability standards,” NRB executive vice president and chief operating officer Troy Miller told CP in a statement. CP reached out to ECFA for comment for this article. A response is pending. In September 2015, ECFA sent GFA a letter highlighting 17 concerns with how GFA conducts its financial affairs. Moore told CP that GFA was well on its way to satisfying many of those concerns listed by ECFA prior to the litigation and has continued in those efforts throughout. "The legal case has further prepared them to complete that process," Moore explained. "The organization is confident it can meet the criteria necessary for membership again in accrediting bodies like the NRB, once they choose to pursue it." Among the concerns highlighted by ECFA was the fact that hundreds of millions of dollars in excess cash was being held in GFA partner field accounts in India. ECFA also criticized how delayed GFA was in sending donated funds to the mission fields. “The level of urgency communicated in GFA donor appeals contrasted with reserves held by foreign field partners and delays in sending funds to the field,” the ECFA letter explains. ECFA criticized GFA for using nearly $20 million in donations that were restricted to field use to build a new headquarters in Wills Point, Texas. The funds were gifted to GFA by GFA India. However, the funds gifted by GFA India were originally received by GFA to be used exclusively in the mission field. ECFA also voiced concerned about GFA’s use of trip participants to carry hundreds of thousands of dollars out of the U.S. into India without reporting it to the Department of Homeland Security. Additionally, GFA did not have a foreign grant process in place to oversee the use of funds, according to ECFA. But in 2015, GFA instituted a new foreign grant process that was developed with the assistance of a new audit firm. Thus far, all audits have come back clean.